hd00:10NANDGAON, INDIA,, INDIA, 7 MARCH 2017 : Local people and villagers playing with colors during the Holi celebration in Nandgaon. 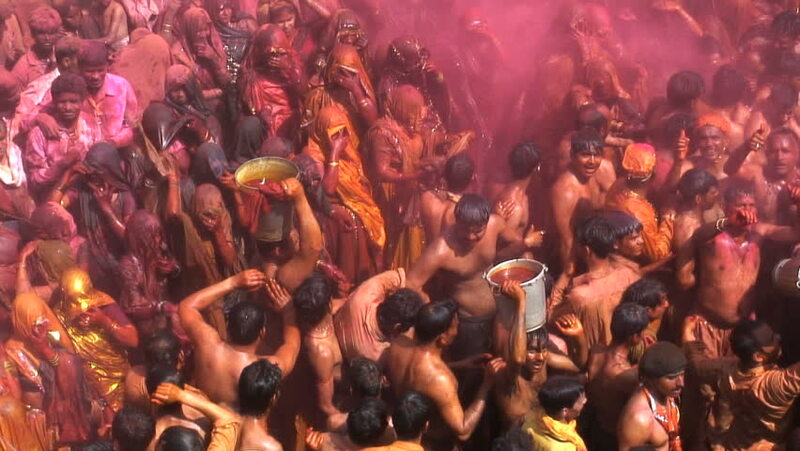 Holi Festival is the most celebrated religious festival in India. hd00:11VRINDAVAN, INDIA 9 MARCH 2017 : An Indian widow celebrating Holi, the Hindu spring festival of colours, at Gopinath Temple in Vrindavan, Uttar Pradesh, India. hd00:17ROME - MAY 1 2013: crowd under the rain watching rock concert in Rome: umbrella, dancing, music. ("Workers' Day Concert"), Piazza San Giovanni (San giovanni Square) - Workers' Day, Rome, Italy.